The 66th session of the Montana state Legislature will feature recurring themes such as approving a state budget, infrastructure, the future of Medicaid expansion and tackling somewhat new topics such as crypto currency. There are now 3,017 bill requests in the pipeline for the 90-day session, which starts Monday. It is a record tally since the previous high of 2,654 for the 1973 session, according to numbers posted on the state website that go back to 1972. And some area lawmakers offer a tip to legislative enthusiasts: Keep a close eye on the tone of the first few days, that usually sets the stage for the 90-day session. The bill requests cover a wide swath of issues that include not only those listed earlier, but touch on subjects such as prescription drugs, changing driving under the influencelaws, pay raises for legislators, school safety, gambling, workers’ compensation for volunteer firefighters, school funding, child protection, missing and murdered Native American women, marijuana and the other usual suspects. Many offer little information at this point, other than to say "generally revise ..."
Republicans continue to be the dominant party with 30 GOP members to 20 Democrats in the Senate and 58 Republicans to 42 Democrats in the House, a slight dip from the 2017 session for the GOP from the 32 Republicans to 18 Democrats in in the Senate and 59 Republicans to 41 Democrats in the House. The session is expected to get off to a feisty start as House members are expected in the first few days to debate a change in rule structure that has split some Republican Party members. Critics charge a bill once assigned to a committee could simply be “tabled” in the committee and held there indefinitely, effectively killing it. Only a “super majority” of 67 votes could “blast” it out of committee and onto the floor so it could be debated by all the elected representatives. Some say the rules gave too much power to the House speaker who could assign an unfavorable bill to a committee where it could die. The proposed rule change would allow bills to be blasted out of committee with a simple majority vote of 51. It is expected to be debated on Tuesday. Medicaid expansion is also a hot-button issue. The Health and Economic Livelihood Partnership (HELP) Act, a “made in Montana” plan passed in the 2015 Legislature, is set to expire in 2019. HELP is a response to the federal Affordable Care Act, also called “Obamacare,” and 94,594 Montanans are participating in the program as of November. Enrollment peaked at 96,656 in August, according to a chart posted at the Department of Public Health and Human Services website. The state also says the program has saved more than $58 million in Medicaid benefits. Republican Ed Buttrey of Great Falls, who remains a senator until Monday when he takes a seat in the house, said the first few days will set the tone of the legislative session. "The first couple days will decide what it will be like for the entirety," he said. Rep. Casey Schreiner, D-Great Falls, the house minority leader, agreed. "I think that first week is very telling; who is willing to participate in process and do good work, and we'll find out who are the rabble rousers who will stop" any forward momentum. "I hope the first week is boring, that people show up and want to get to work," he said. Schreiner, who is in his first session as minority leader, said he will "treat the naysayers and obstructionists as white noise." He said Democrats will be focused this session on solutions, things that could be better and how to fix them. Schreiner said members will fight for protecting the state’s most vulnerable and services cut in the past in communities. "Anything we do is either going to have to protect the people of Montana or provide opportunities," he said. There are some issues expected to bring spirited discussion. Buttrey sponsored the HELP Act in 2015. He said a group has come up with a plan to continue Medicaid expansion beyond 2019. “We have a good plan and hopefully we will unveil it in the next few weeks,” he said. He said he is hoping there will be a good debate in committee. Buttrey said the bigger issue will be the state budget, noting oil and gas numbers are down. “We need to fix traditional revenue sources,” he said. In a recent opinion piece that ran in the Great Falls Tribune, Schreiner said Montanans deserve a Legislature that leads with solutions and sets aside partisan blustering. He listed Medicaid expansion, infrastructure and a sound fiscal budget as priorities. So what’s on the minds of other lawmakers? Eighteen requests have been filed regarding gun and weapon laws. Most call on generally revising gun laws, one allows school officials to carry concealed weapons, one would provide a tax credit for purchasing a gun safe and one calls for revisions for switchblades. Three bills drafts regarding abortion have been requested; two are on hold. One calls for revision of abortion laws, the other calls for revision on laws concerning a viable fetus and the third states abortion is not a constitutional right. Not all the bills will make it to committee or the floor. About 15 of those are already dead, according to the legislative website leg.mt.gov. Others will be culled from the herd as the session progresses. For the 2017 session, there were 2,611 bill draft requests. Of those, 1,188 were introduced and 544 were adopted, according to the state legislative website. In 2015, there were 2,471 requested, 1,198 introduced and 539 adopted. The 90-day session is slated to run through May 1. There is a “transmittal” break March 3-6 in which general bills move from one house to the other and the session ends May 1. State law calls for lawmakers to convene every other year on the first January of odd-numbered years. And if Jan. 1 happens to be a Monday, the session begins Jan. 3. This session is something of a dosey doe for not only Jacobson, but some other area lawmakers as well. Buttrey of Great Falls and fellow Republican Llew Jones of Conrad are moving from the senate to the house. Sen. Frederick “Eric” Moore, R-Miles City, is moving to the house as well. Buttrey introduced the motion in November to change the house rules while Jones has been championing the cause. They have met resistance from within their own party. Democratic Gov. Steve Bullock unveiled his final biennial budget in November, proposing a $10.3 billion spending plan that mirrors many of the items he proposed in 2017 that were shot down by Republicans. His proposal includes preschool education and infrastructure funding, while continuing the Medicaid expansion program that insures 96,000 low-income residents and is scheduled to expire next year. He proposes raising $50 million a year through tax increases on hotel rooms, rental cars, tobacco and liquor and increasing a fee charged to investment advisers to help pay for programs. Senate President Scott Sales of Bozeman told the Associated Press in November that Republicans don't really see the need to raise taxes. “We want to live within our means," he said. Bullock’s 2021 budget proposes a $294 million infrastructure investment financed through a mix of cash and bonds. It includes $148 million for local projects for drinking water, wastewater, sewers, solid waste and bridges. Other projects include renovations to Romney Hall at Montana State University, the veterans home in Southwestern Montana and the Montana Historical Society. Locally, Great Falls College Montana State University would benefit from the infrastructure bill. The proposal includes $4.25 million to help a dental hygienist program grow at the college by building a 10,000 square-foot addition with lab and clinic space, and 10 more operatories. The estimated cost of the project is $4,765,000, leaving the college to raise $515,500, officials said. Buttrey and Jacobson were optimistic the project will pass. Buttrey said there is a good case for spending cash on what the state can afford, spending on critical needs and bonding some critical needs projects. The Legislature was called into special session in November 2017 to deal with a budget shortfall, cutting funding to several programs until some of those funds were restored over the summer. Jacobson will serve on the finance and claims committee, which he said controls the state budget from the senate side. He said Great Falls has not had representation on the committee for two sessions. “I felt it was important for Great Falls to be represented and important to have someone represent our community and county,” Jacobson said. It notes the budget proposes primarily what resources will be needed to continue existing level of services. Jacobson said it will be important for this Legislature to find solutions to generating revenue. He said it’s not just about finding new taxes or increasing news, but decreasing the volatility of revenue streams and make it more equitable for everybody. He said it was important to find a way for the state to have revenues to fund schools, mental health and disability services and to do that through a much more reliable source. Jacobson said he is hearing of a possible recession in 2019 and the state should consider preventive actions to increase revenues. “We need to be cognizant as we move forward and be better prepared,” he said. Jacobson said remains optimistic heading into this year’s session. “Year after year we do not always get the things done we want to get done, but we get done what needs to get done,” he said. The opening ceremonies for the House and Senate are noon Monday with a floor session at 1 p.m.
Watch the Legislature online at leg.mt.gov. The House and Senate floor action is 1 p.m. Monday through Friday. View various committees throughout the day. Parking can be a challenge. Please consider taking the free shuttle that runs from Roberts Street between Prospect and 11th avenues to the Capitol. Shuttles run every 5-10 minutes. Here are bill requests now proposed by area lawmakers. Some of the bills will not come into fruition, but are requests at this point. The lawmakers are listed by the title they will have when the session starts Jan. 7. Revise laws related to career and technical education, pesticide applicator laws, penalties for noncompliance with vehicle liability insurance laws, prohibit texting and driving by minors. He also wants to generally revise laws pertaining to littering, transportation, funding sources for FWP game wardens, the use of K-12 equalized funds, revise taxation laws and revise funding sources for Montana's wilderness trails. Revise tax laws, DUI laws, human trafficking laws, suicide prevention and substance abuse. House resolution to implement laws for 2019 session, revise health care laws, labor laws, motor carrier laws, alcohol and gaming laws, special district laws, data center laws, provide for Pharmacy Benefit Manager Licensure and Regulation, revise special district laws, authorize physical therapy assistant supervision via telemedicine. Remove requirement for state to pay for prosecution witnesses, revise insurance laws relating to temporary waterproof coverings and exclusions, revise surplus lines insurance requirements. Make sheriff a nonpartisan election, revise election, tax, eminent domain, seat belt and water laws, revise park board authority, parks, sage grouse, motor vehicle registration and property laws, revise laws for state buildings, county superintendent of schools, state labs and laws related to the university system. Also, create a commission on historical sites and monuments. Revise motor vehicle taxation laws, elderly homeowner taxation credit, revise employee application laws in regard to criminal history, income tax laws in regards to married taxpayers, revise laws regarding marijuana and laws pertaining to tax increment financing and other districts. Revise laws on access, medical marijuana, tax credit for student loan payments, increase fine for gating a public road, allow create of a community pooled trust, revise definition of elder abuse, expand tax increment financing, provide volunteer firefighters funds for workers compensation and training, exempt small towns from one person one elect position rule, revise laws regarding small fishing derbies, allow WIC to be used for produce grown out of state at farmers market, revise liquor laws regarding sampling, prohibit underwriting factors for private passenger insurance, revise caregiver ratio for assisted living centers and requiring hiring Montana first on state-funded contracts. Other laws in the hopper for Jacobson include revising laws to provide tax credit to expand industrial hemp production, create a certified hemp program and to allow for industrial hemp production, prohibiting the sale of expired beer, revising property, private access and government procurement laws. Revise state employment services, revise tourism districts, acupuncture laws, liquor laws, selling data without consent of user, revising community health center requirements, marijuana laws, medial marijuana laws, personal income tax child protective service laws, revise hunting laws, revise fish, wildlife and parks, revise fishing laws, corporate tax laws, physical therapy laws. Revising laws regarding improvement district bonds and hazardous materials spill response capabilities. Revise incarceration standards for pregnant women. Revise wildlife laws, standards for training on suicide prevention, laws related to boycotts of Israel and revise standards and safeguards for protecting guardian animals, deter fraudulent use or theft of taxpayer funded resources, create standards for small businesses fair practices, allow reparations for livestock killed by black bears, revise laws regarding the Montana Youth Challenge Academy, joint resolution honoring military and veteran military service. 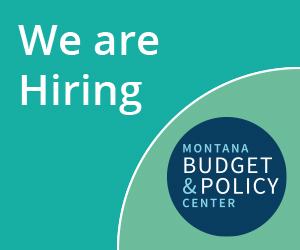 Revise board of investment laws, create the Montana apprentice utilization and investment act, generally revise health care, work force programs, mental health and infrastructure and education funding. Revise family law, revise paternity test laws, revise laws for insurance for autism therapy services, allow some medical professionals to have a vehicle light bar, revise public assistance and sentencing, allowing the state to remain on one time all year, revise parole laws, district water board laws, insurance laws, alcohol tax laws, landlord-tenant laws, subpoena, eligibility for public assistance and public school attendance eligibility. Revise reference to deposit of aerial hunting permit fees and revise residency requirements for aerial hunting permits. Revise laws for Livestock Loss Board personnel and revise requirements to be eligible for livestock loss board payment. Create a jumpstart program for Montana students and authorize necessary measures to implement House Bill 2. Revise: information technology budgets, legislative branch funds, state special revenue accounts, laws related to children and families, laws related to fire funding, recruiting and retaining kindergarten through 12th grade educators, infrastructure funding, state finance, transfer of funds, budget stabilization reserve fund, laws related to Medicaid expansion, environmental quality, criminal justice, judicial branch, public defender, education funding, income tax, corporation tax, student data privacy laws, education laws, weed laws, local government special districts, funding for community colleges, funding for post-secondary educational units, education laws, oil and gas laws and interim study of oil price differentials. Extend the Montana Indian Language Preservation Program, revise historic preservation, health care, higher education, suicide prevention, language immersion, highway maintenance and MEPA laws. Provide credit transfers from tribal 2-year and community colleges to four-year Montana University System.